It's been a while since we last looked back at the saga of Le Carrousel so we're bringing it back to the forefront. Our resident Archivist, Anne Kumer, wrote this well-researched blog post many years ago as part of her From the Archive series. One of the most popular attractions in the park (especially among our younger visitors) is Le Carrousel. 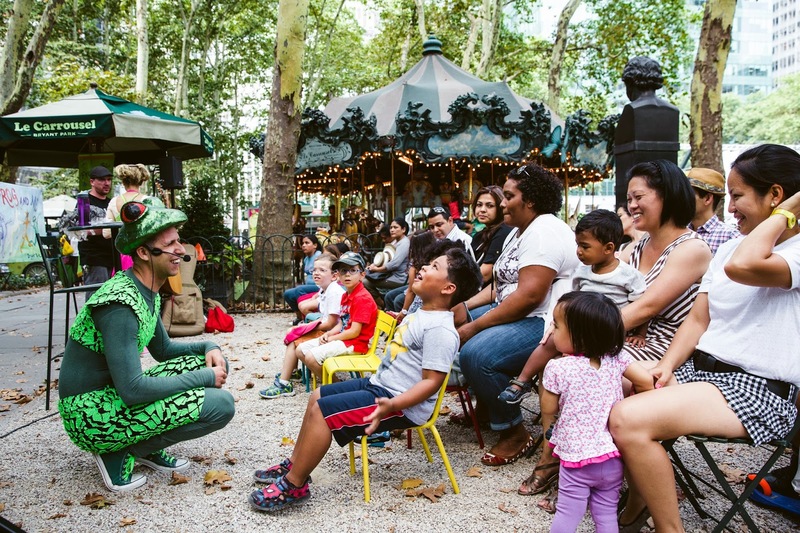 For a quick ride, a dozen rides, a spot to read, or a place to throw a birthday party, the carousel is a great spot to spend some time in the park. 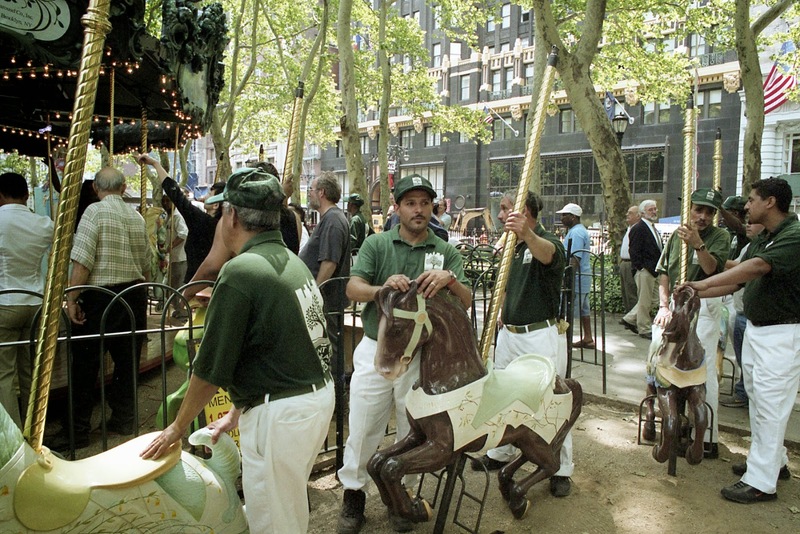 Ever wonder about the origins of the carousel? Or why we put it there in the first place? This post gives you the scoop on the who, what, where, when, and why of Le Carrousel. The carousel arrived in the park in June of 2002 as part of an effort to attract younger visitors. It was designed and manufactured by Marvin Sylvor's Fabricon Carousel Company based in Brooklyn, NY,, a widely recognized carousel fabricator at that time. The carousel is 22 feet wide, weighs 12,000 pounds, and spins to the tune of hand-picked French cabaret music. After it was int the park a few years, Le Carrousel underwent a full restoration in the summer of 2009, during which the carousel was completely repainted to its original classical colors and sheen. And the work didn't stop there! 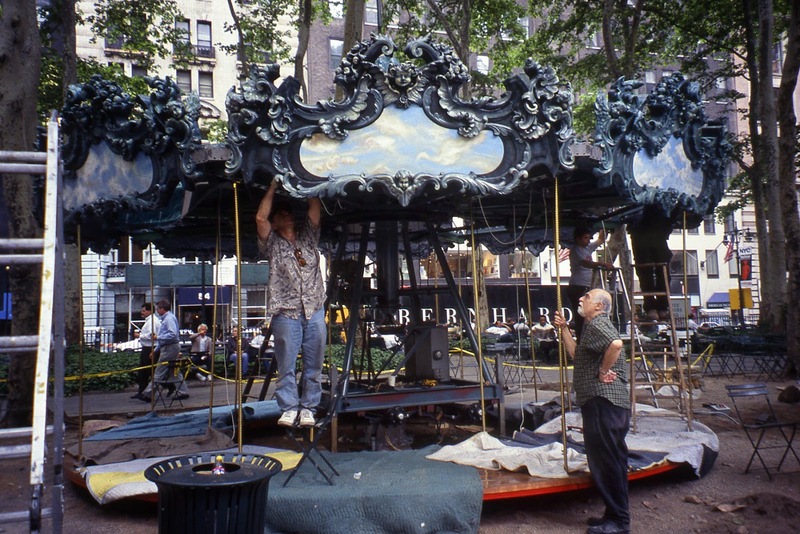 Ever since, our staff is constantly working to restore and improve the carousel to keep it spinning far into the future. Designed to complement Bryant Park's French classical style, it is intricately detailed and beautifully painted to blend in with the park's London Plane trees' leafy canopy. The carousel features 14 bright eyed and bushy tailed creatures, 12 of which bob up and down as the ride spins. These animals include a deer, a rabbit, a cat and ten horses. The carousel also features a beautiful ticket booth that was originally built in 1928 for a carousel in Hull, Massachusetts. It may surprise you to know that some of these creatures have interesting back stories. For instance, one of the horses, the carousel's "lead horse," is named Granny's Folly. On July 31st, 2002, a naming ceremony was held to name the horse in honor of mounted police steed that had served in the NYPD but was tragically killed by a livery cab in 1992. This horse was famed for having stepped on a mugger's foot during his attempt to escape from a robbery outside of nearby Madison Square Garden during a Michael Jackson concert. Quite an unlikely hero! Another special animal gracing Le Carrousel is Flaubert Frog. 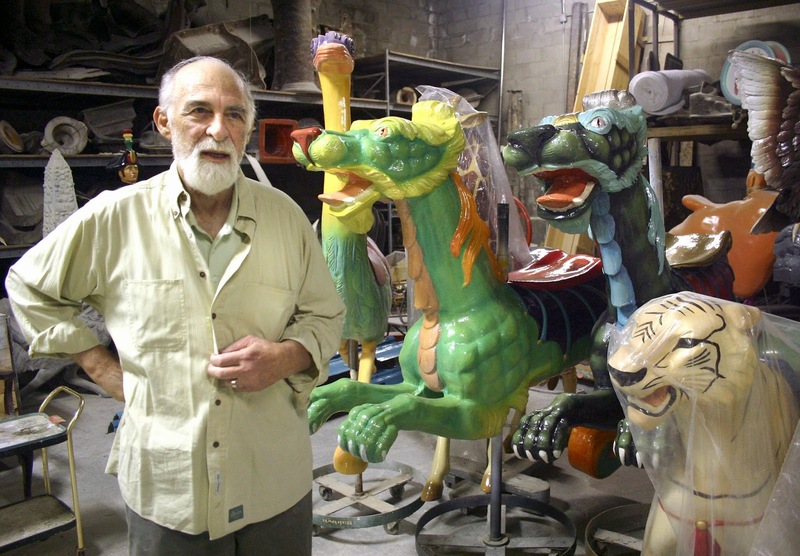 This carousel creature frequently comes to life for various readings, events, and other performances for children and families. Ever since the installation of Le Carrousel, tens of thousands of riders each year have enjoyed taking a spin on their favorite animal. Next time you take a ride, don't forget to admire all the carousel's little details and partake in its rich history! Information courtesy of Anne Kumer, Bryant Park Corporation Archivist.